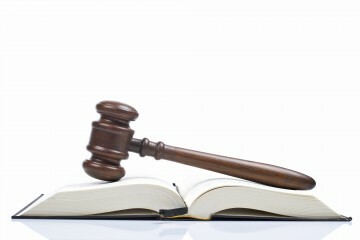 April 27, 2010: In the third record whistleblower settlement for Sheller, P.C. in fifteen months, the firm represented a whistleblower who brought forth knowledge of wrongdoing by AstraZeneca. AstraZeneca agreed to a civil settlement of $520 million for charges of off-label marketing of the powerful antipsychotic drug Seroquel. The settlement is the largest pharmaceutical civil settlement and among the top five civil and criminal drug company settlements in U.S. history, bringing the Sheller whistelblower settlements to $4.2 billion. The first complaint in the matter was filed in 2004 by Stephen A. Sheller, Esq., a whistleblower, class action, and mass tort attorney from Philadelphia’s Sheller, P.C. The whistleblower in the case was a former AstraZeneca sales representative. Seroquel is approved by the U.S. Food and Drug Administration (“FDA”) only for schizophrenia and specific types of bipolar mania. AstraZeneca was charged with promoting Seroquel to physicians for use “off-label” in children and the elderly. Doctors are allowed to prescribe drugs for unapproved uses but FDA rules state that drug manufacturers may only promote their products for approved conditions and age groups. 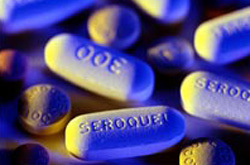 The settlement unsealed on April 27, 2010 by the U.S. Department of Justice and the U.S. Attorney’s Office in Philadelphia indicates marketing practices for Seroquel included promotion of the drug by physicians participating in clinical studies and drug sales representatives encouraging doctors to prescribe for the unapproved uses. Whistleblowers are protected by the federal False Claims Act, where employees aware of their company knowingly defrauding the government may sue without threat of being fired, harassed, demoted, or discriminated against for cooperating in an investigation of their employer. Sheller lauded the team in the U.S. Attorney’s Office for their investigation, including Virginia A. Gibson, First Assistant; Margaret L. Hutchinson, Chief Civil Division, and Assistant U.S. Attorney Colin M. Cherico. “Once again, the U.S. Attorney’s office in Philadelphia came through supporting whistleblower efforts, recouping hundreds of millions for the government and its citizen taxpayers” said Sheller. Joining Sheller as co-counsel in the Seroquel case were Philadelphia attorneys Michael M. Mustokoff and Mark Lipowicz of Duane Morris LLP and Florida attorneys Gary Farmer and Michael Freedland. Seroquel is among the top-selling drugs in the world with 2009 sales of $4.9 billion, 15% of AstraZeneca’s $33.2 billion in revenue.